Christopher taught me to use the two four-lettered words: hope and cure. Regarding hope, he said that without hope we have nothing. Regarding cure, he said that we must go all the way. These are hard words for a scientist to use. We don't want to give false hope and we must have confidence that a cure is possible. It was probably 6 weeks after his injury when I received a call from him asking if I would see him at Kessler Rehabilitation Center where he was undergoing rehabilitation. He was in his wheelchair, still a little hesitant with the timing of his respirator that was providing the breath for his voice, but very pointed with his questions. He asked me whether there would ever be therapies that could restore function to people with spinal cord injury. I told him yes and explained why. He then asked how long. I said to him that if we had sufficient resources, worked hard, and were a little lucky, we may have the first therapies within 7 years. Of course, this was in 1995 and seven years have come and gone. 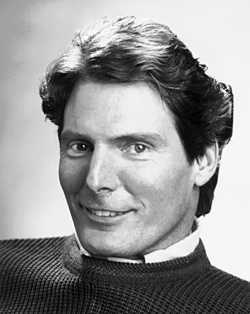 It is now the tenth year after Christopher Reeve's injury in May of 1995. During these years, we have seen the reversal of the dogma that the spinal cord cannot regenerate and the first application of therapies that are beginning to restore function in people. Throughout all this time, Christopher was a shining beacon of hope for cure around the world. He has raised more money for spinal cord injury research than anybody in history, establishing the Christopher Reeve Paralysis Foundation. More important, he gave unstintingly of himself day and night to the cause. He testified to Congress numerous times, spoke up for stem cell research, visited spinal cord injury laboratories and centers all over the world, and gave innumerable heartfelt speeches to millions. I remember the first time that he appeared on television on Barbara Walter's 20/20 and said that God had dealt him a set of cards and he was determined to play them to the best of his ability. He did not ask for pity, just hope and cure. He challenged scientists to work harder, people to care, and the government to help. I know that Christopher would be sad to be missing the events of the coming weeks. So much is happening. I was supposed to see him this weekend to update him on the status of research but postponed it, sending a message to him to say that I will be attending the Neurotrauma and Neuroscience meetings in 2 weeks and could report back to him about the progress. His bill, the Christopher Reeve Paralysis Act of 2004, is being considered in Congress and requesting $300 million for research to reverse paralysis. He was anxious to hear about the progress in clinical trials around the world and I was supposed to update him about the progress in establishing the China SCI Network to test therapies in people. He has been an untiring advocate for stem cell research and we had worked together to get the New Jersey Stem Cell Research bill passed last year. I know that he would not want to have missed the announcement of the establishment of the Stem Cell Institute of New Jersey. He would have been very interested to see the outcome of Proposition 71 in California, requesting a $3 billion bond to support stem cell research in that state. Most of all, I miss Christopher. I only heard several hours ago that he died. There is an ache in my heart that won't go away, a feeling in my eyes that causes me to blink, and the silent regret that comes from the loss of a dear friend. Millions have felt the magnetism of his blue eyes, the quick smile, the inciseful insight, and the strength and optimism that poured out from his paralyzed body. He not only worked incessantly to keep his body in good shape for the cure but convinced many people with spinal cord injury to take care of themselves as well. He truly touched everybody that saw him and worked with him. He was a great man, a wonderful friend, and will be sorely missed. My hope is that we will realize his dreams of a cure for spinal cord injury in the very near future. I know that this would make him happy.